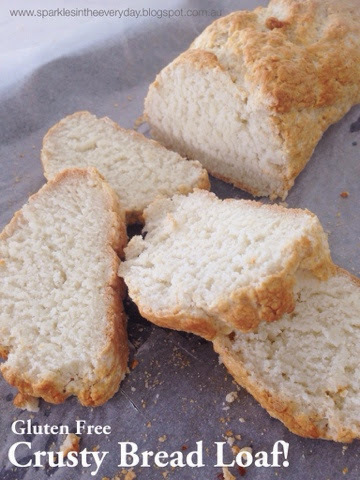 Gluten Free Crusty Bread Loaf! - Sparkles in the Everyday! 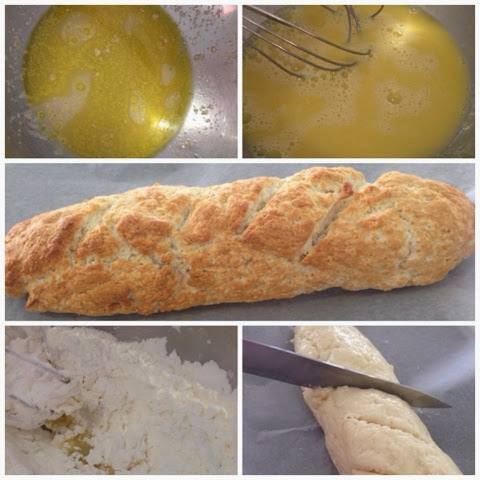 You are here: Home / Gluten Free Recipes / Gluten Free Crusty Bread Loaf! 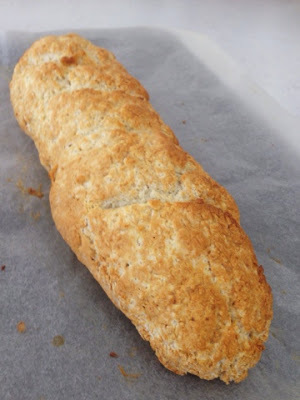 How to make Gluten Free Crusty Bread Loaf! There is nothing better than straight out of the oven, warm bread, smothered in butter. Yes, that is definitely a way to put a smile on my face! Being gluten free often means not having that elusive taste of ‘white bread’. If you are ‘gluten free’ then you know what I mean!! 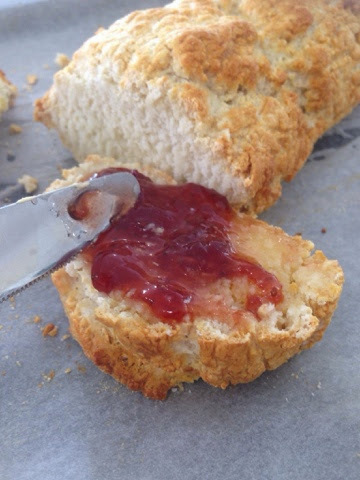 Sometimes you just need a good chunk of baguette to scoop up spaghetti sauce, dip into soups, make into garlic bread, or even just have it straight out the oven with your favourite jam. 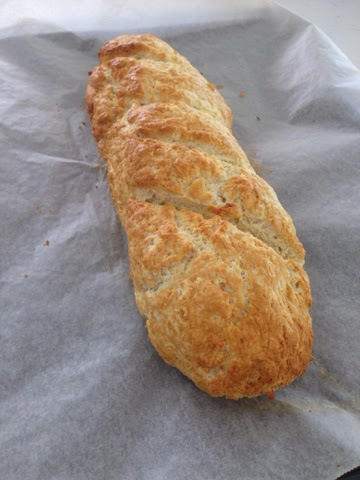 So, after experimenting with a range of gluten free ingredients, I think I have found the perfect recipe!I just love that it looks like a baguette, has a crusty top, has a soft centre and smells like bread when it is cooking. Preheat oven to 190 degrees and line a baking tray with baking paper. Combine the water with honey and oil. Add the yeast and let it sit for a minute or two. Whisk in the egg and stir in the flour, baking powder, xanthum gum and salt. Make into a ball of dough. You may need the other two teaspoons of luke warm water to bring the dough together. You can add a few drops of oil to your hands, so the dough doesn’t stick to your hands and it makes it easier to make into a baguette shape. 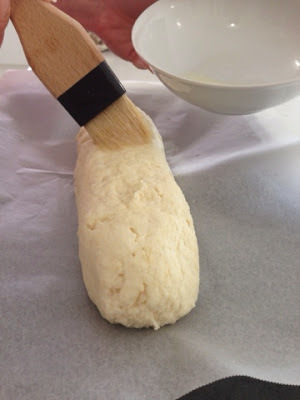 Form into a baguette shape on the prepared baking sheet and brush with beaten egg white. Make a few slashes on the top with a bread knife. Let cool completely before slicing or if you can’t wait, break off a chunk, smother in butter and enjoy …. I do! Tip – make sure your water is luke warm so it will activate the yeast and if it is too hot, the yeast will be destroyed. 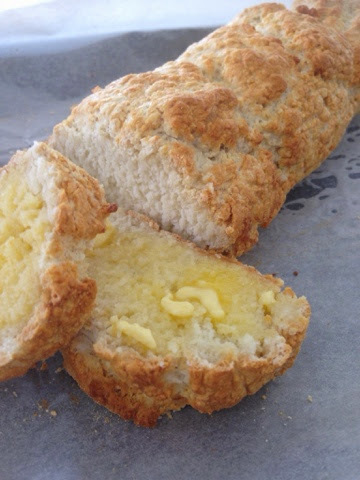 Gluten Free Crusty Bread Loaf !! An easy recipe for Gluten Free Crusty Bread Loaf. There is nothing better than straight out of the oven, warm bread, smothered in butter! 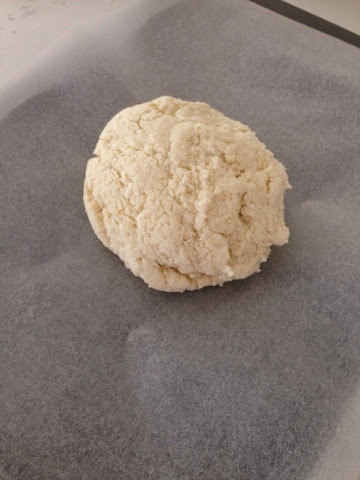 Make into a ball of dough. You may need the other two teaspoons of luke warm water to bring the dough together. You can add a few drops of oil to your hands, so the dough doesn't stick to your hands and it makes it easier to make into a baguette shape. Let cool completely before slicing or if you can't wait, break off a chunk, smother in butter and enjoy .... I do! Tip - make sure your water is luke warm so it will activate the yeast and if it is too hot, the yeast will be destroyed. 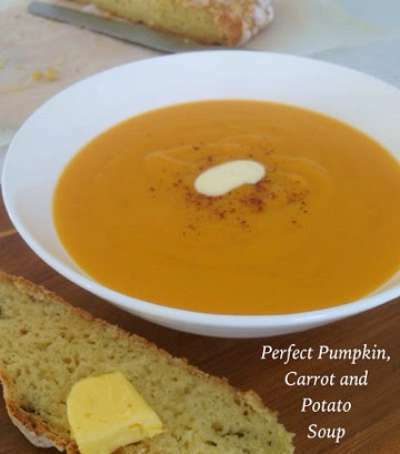 You might also like the recipe for Perfect Pumpkin, Carrot and Potato Soup! « Egg Free, Gluten Free Chocolate Cake!